It is very natural for a living being to be constantly busy fulfilling his or her own self-interest. A person becomes a great being by the extent of his or her ability to accommodate others. Shri Maharajji founded Bhagwat Bhakti Ashram to make people realize the importance of hard work. He transformed a deserted place into a divine one. 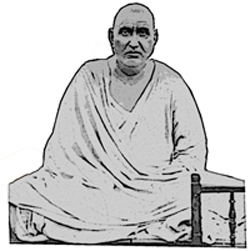 Shri Maharajji, most of the time, would prefix 'anand ke beech main' which means amidst joy, while speaking any sentence. That is why the url of this site was finalized as www.anandkebeechmain.com. Join Anandkebeechmain Group and create a pool of thoughts based on Shri Maharajji's discourses. © Anandkebeechmain.com. All Rights Reserved. Best viewed in Mozilla Firefox with a resolution of 1024 x 768. View Disclaimer. Developed by Varenya Agrawal.